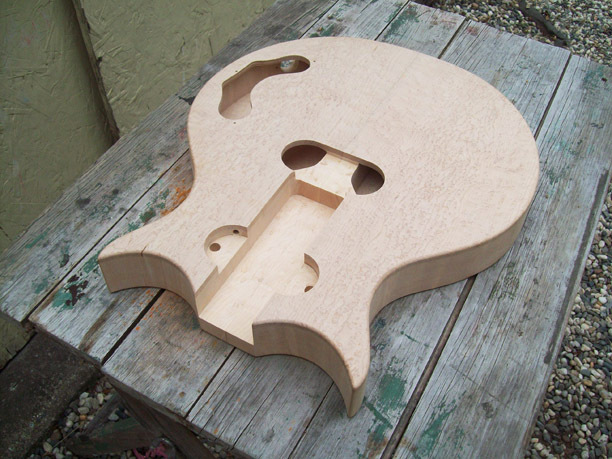 Here’s my third gallery of photos from Ashley’s build. 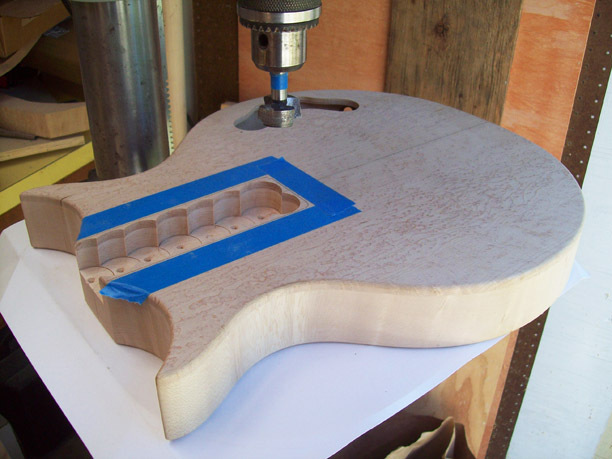 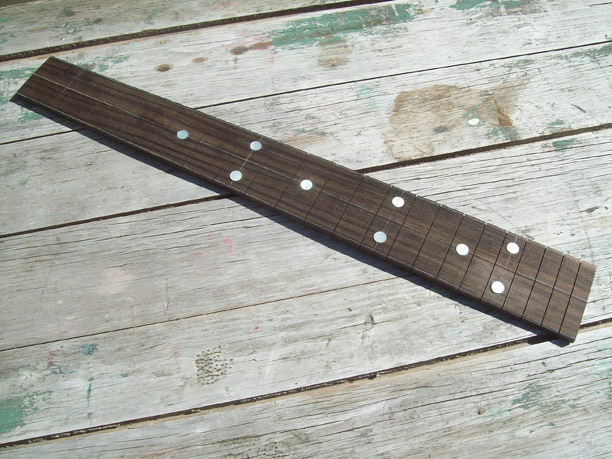 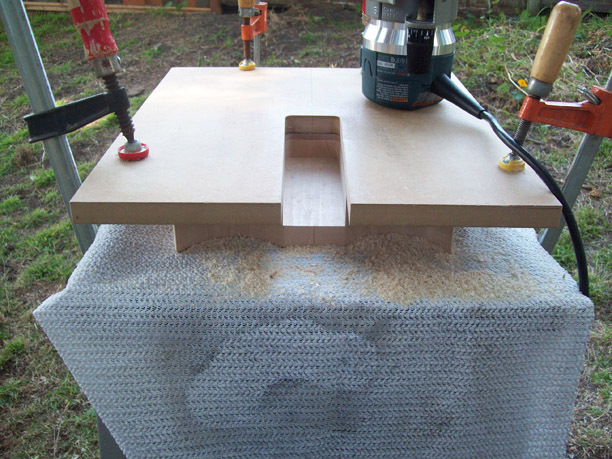 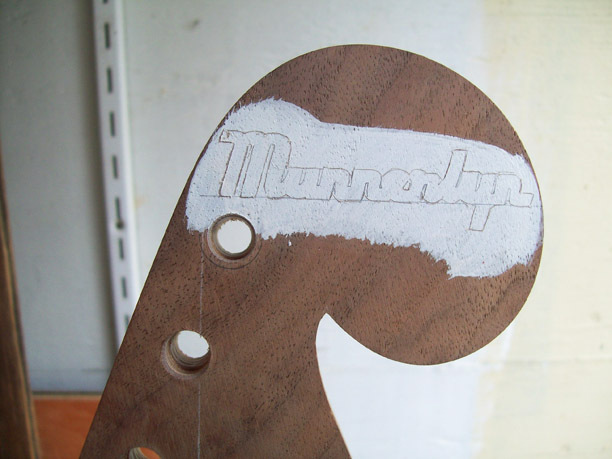 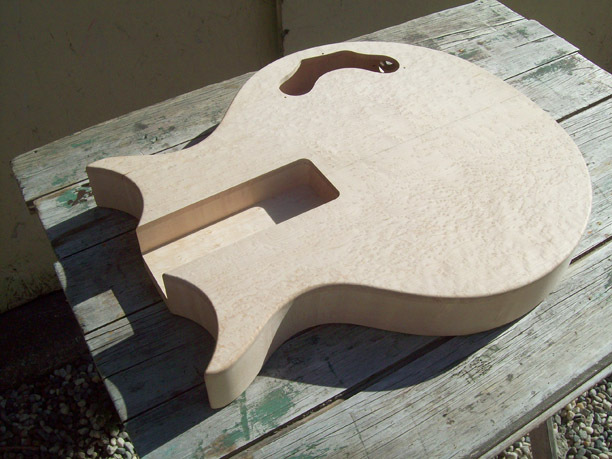 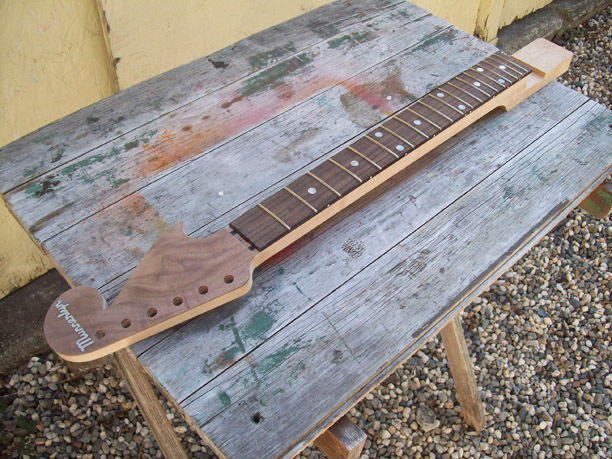 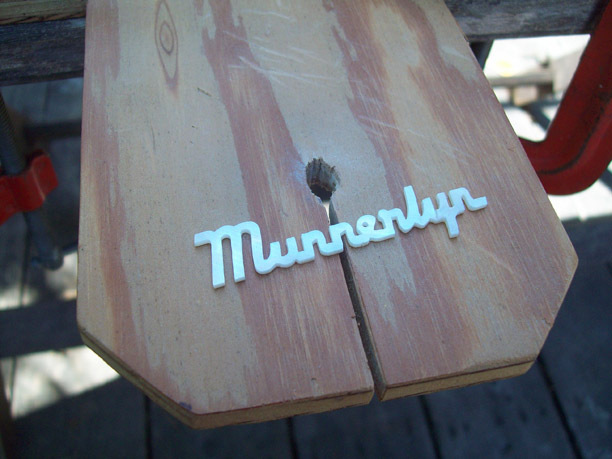 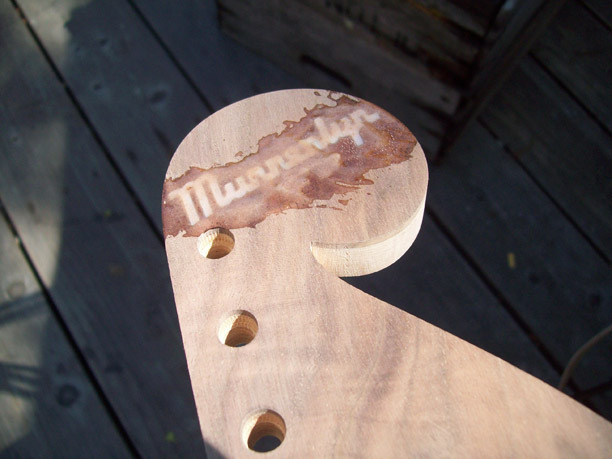 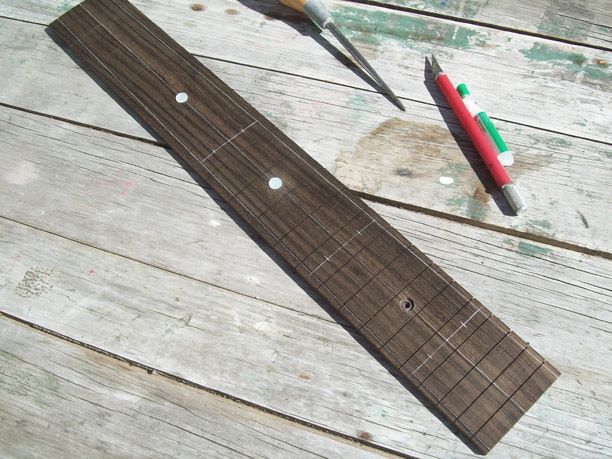 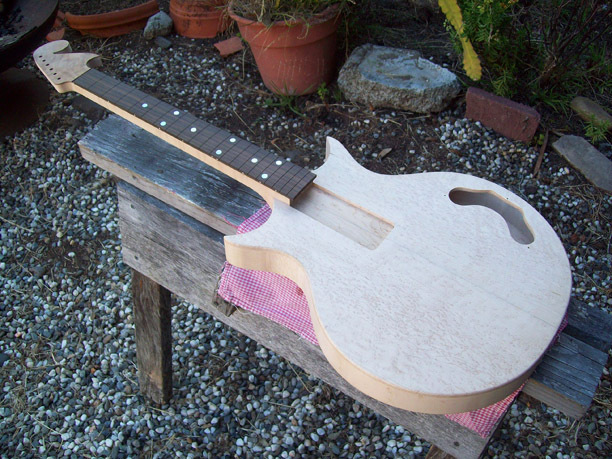 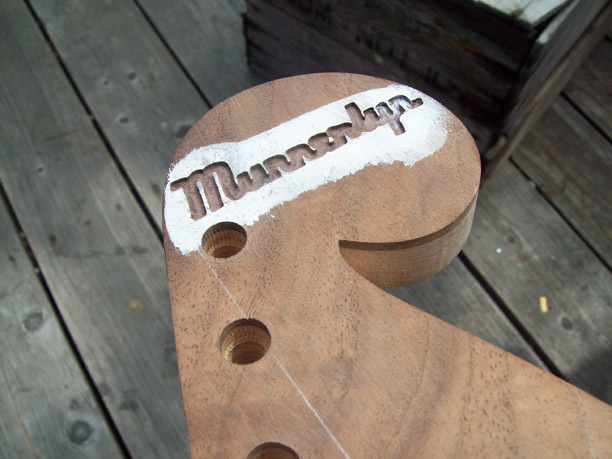 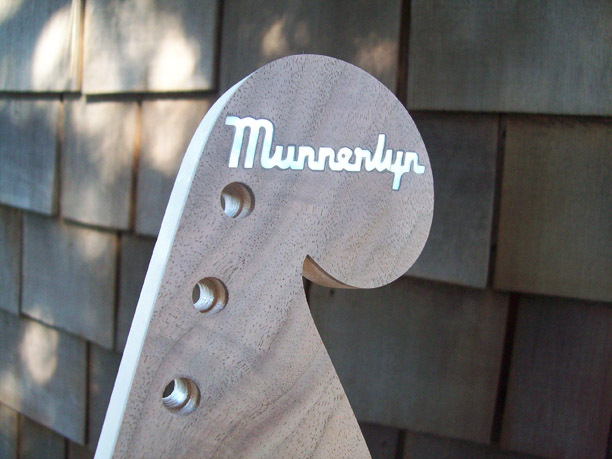 This gallery shows the neck getting it’s fingerboard, inlays and frets. 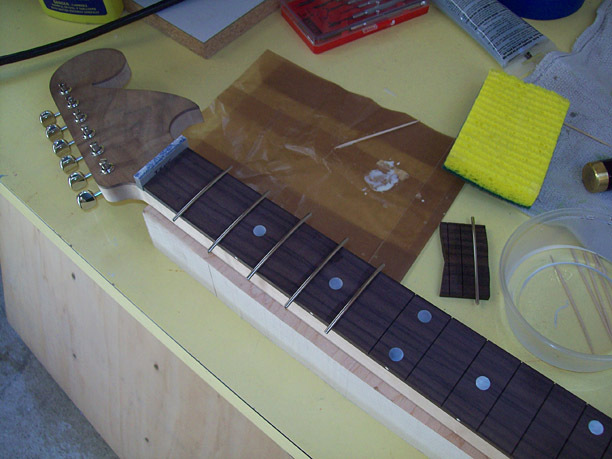 The neck and body meet for the first time, and if you look closely, you’ll notice that I went back and added two more dots on the fingerboard (per Ashley’s request) before I installed the frets. 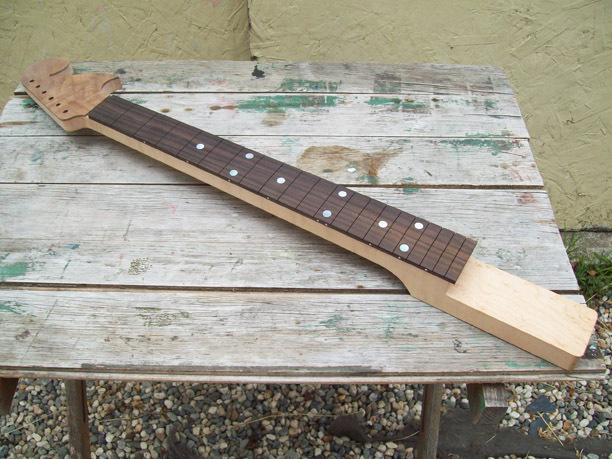 Fingerboard glued to the neck.